We are guessing by the title of this blog entry you have pretty much figured out where we are going with it? You guessed right! A little sneak peek at another build we plan to start very soon. 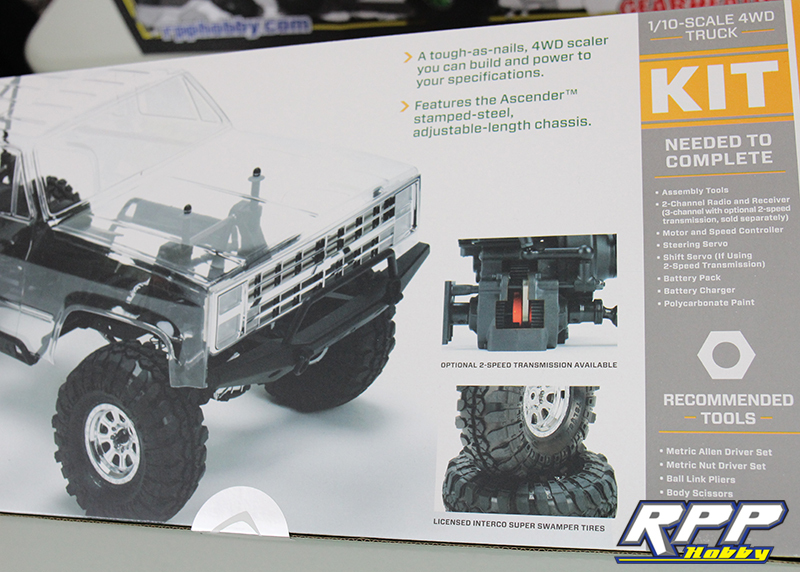 This Vaterra Ascender kit will be an on-going build that will see many various stages. We plan to take this scale 4×4 Blazer from relatively stock to being fully optioned out with numerous upgrades along the way. This build will hopefully appeal to R/C newcomers, as well as seasoned scale vets. 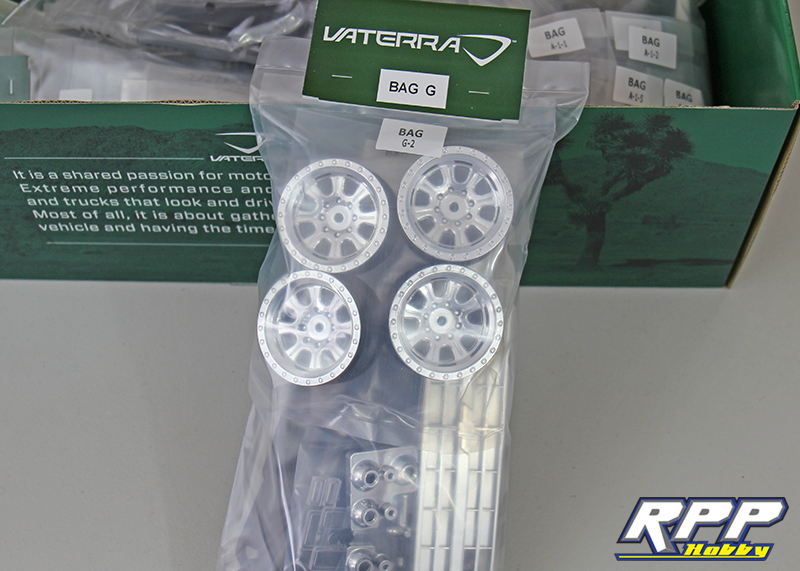 We also have seen that Vanquish Products’ axle housings will be available very soon for the Vaterra Ascender. Our scale gears are turning to say the least. Here is the plan so far. 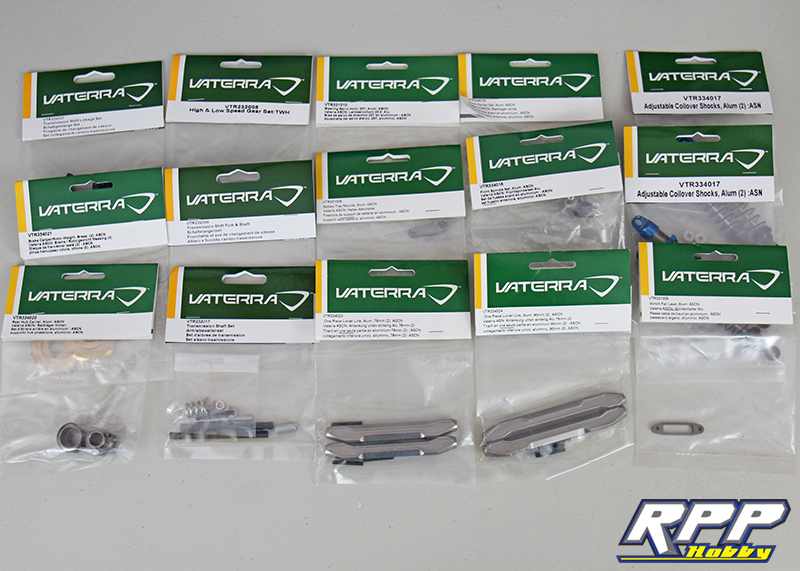 We have mapped out a vast array of Vaterra hop-up parts to use during this build. Some will be making an appearance sooner than later. 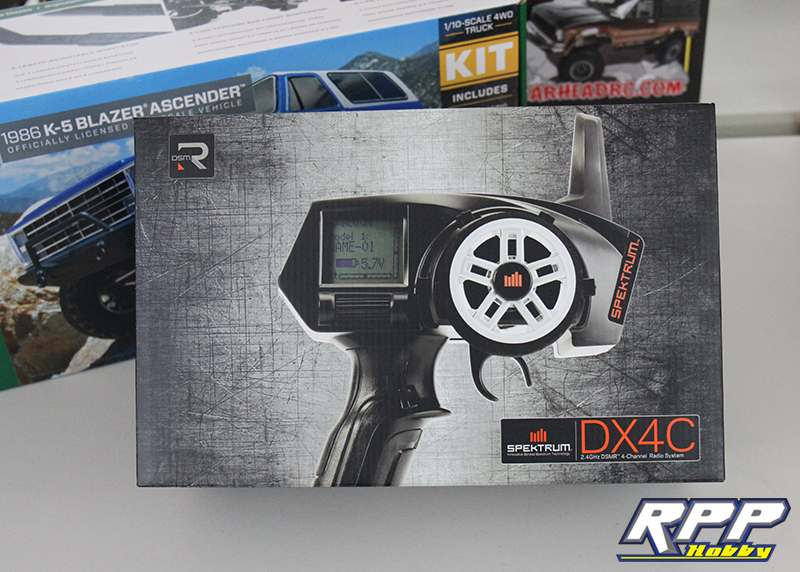 The 4 channel Spektrum DX4C will be our radio of choice for our Ascender kit build. 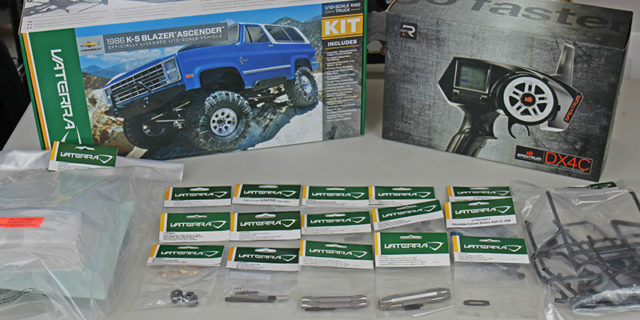 Backside of the Ascender box shows the optional two-speed transmission and also gives you a list of everything required to complete the build. 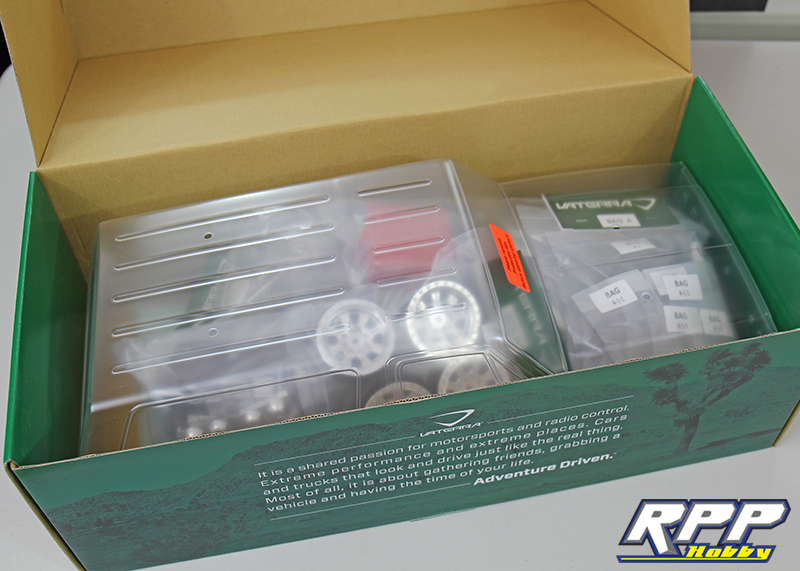 Time to take a look inside the Ascender kit box. First thing we notice when we pulled the classic K5 Blazer body from the box is the extremely clean trim job on the pre-cut body. Even has pre-drilled body post holes and mounting holes for the molded grill. A couple nice touches for sure! A quick look at the chrome wheels that are included with the kit. Tires and foams included with the kit have a nice feel to them. 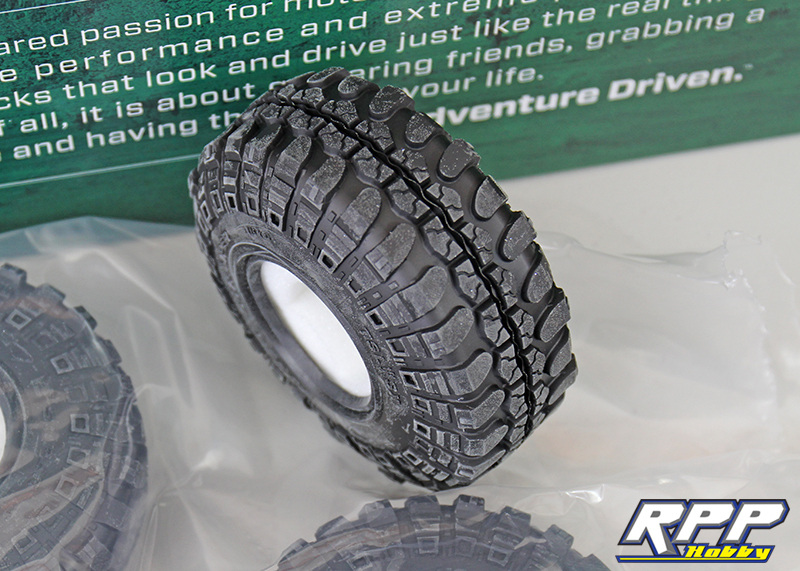 The licensed Super Swamper tires are molded in a nice soft rubber compound. 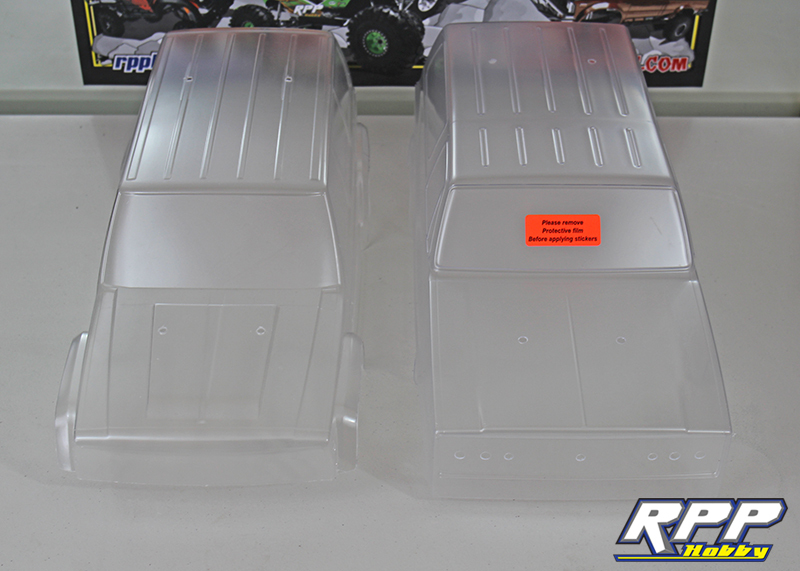 A quick shot of the Vaterra Blazer body next to the Axial Cherokee body. By scale proportions the Blazer should be slightly bigger, and it is. Vaterra did a great job with this K5 body. 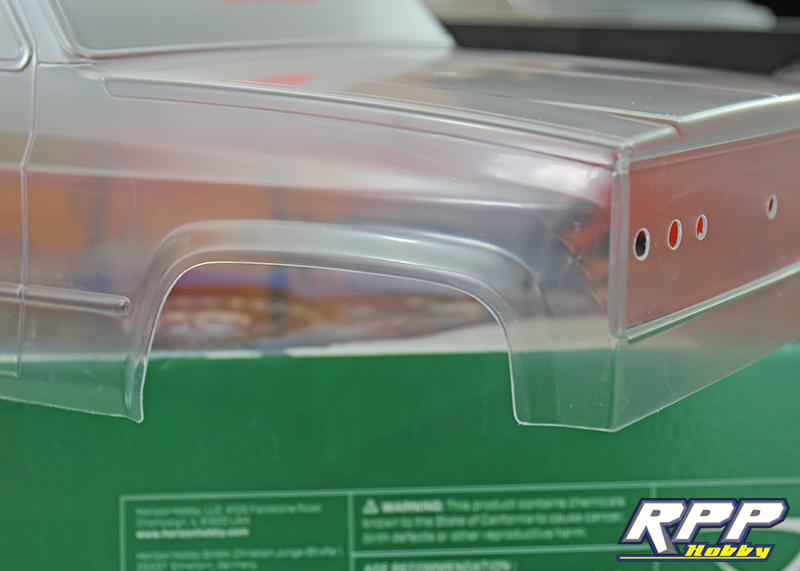 It is one of the cleanest Lexan bodies we have seen in a while. And there it is! A sneak peek at what we have planned for our next blog build. Lots of stuff to sort out before we get started but, that is half the fun. Thanks for reading and stay tuned for more!